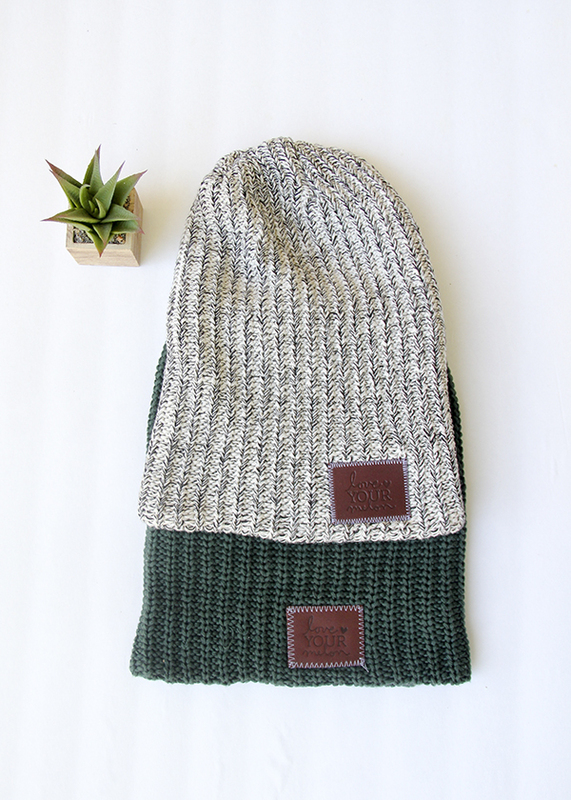 I first came across Love Your Melon when I was researching companies for my 150+ social good companies list. I wanted a place that people could go for a comprehensive list of social good companies that provide fashionable, useful, gifts and everyday products. Love Your Melon was started by a group of college students in an entrepreneurial class together whose mission became to improve the lives of children battling cancer. Since the beginning, Love Your Melon has reserved over 45,000 hats for children battling cancer in the USA through their buy one, give one program. Each hat is delivered in person to the hospitals by the Love Your Melon college ambassadors dressed as superheroes! How cool is that?! Here, I am wearing the Black Speckled Beanie, my favorite because it goes with everything! All the hats are USA made, machine washable and sturdy- they will definitely keep you warm during these winter months. It’s been a pretty warm fall here so I’ve been dying to break out my sweaters, boots and hats! What’s also awesome is, 50% of net proceeds from the sale of this Black Speckled Beanie will be donated equally to CureSearch for Children’s Cancer and the Pinky Swear Foundation to fund cancer research initiatives and provide immediate support for families. The Black Speckled Beanie and Forest Beanie are my two faves, but Love Your Melon also has so many other colors to choose from. They also offer caps for those spring and summer months. If you know someone battling cancer, you can request a hat for them at Love Your Melon. Are you a college student interested in being involved in the Campus Crew program? Crew Members raise awareness for childhood cancer, represent the brand through promotions and sales events and personally engage with their charitable programming initiatives. The Program has grown to include over 2,500 Crew Members nationally! Check it out!